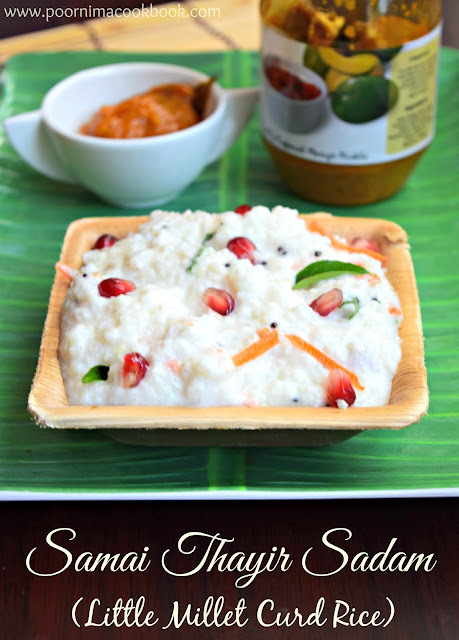 Curd rice / Thayir Sadam is a comforting and refreshing food during this hot summer; also it a favourite food for most of the south Indians! To make it healthy, I have used samai(in Tamil) / Little millet instead of rice. 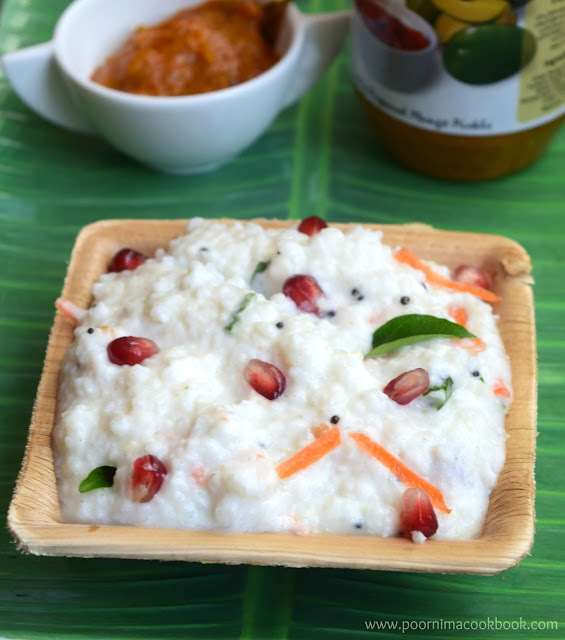 No one in my family found that I have made curd rice with millet instead of rice; best way to incorporate millets in our diet. Check my other millet recipes too. Try to include in your diet for a healthy living. Samai / little millet is gluten free, easily digestible and nutritious grain which is high in fibre and iron. It is suitable for all ages. It has high anti oxidant property and also helpful in reducing cholesterol and blood Sugar. It is known by Same in Kannada, Samai in Tamil, Kutki in Hindi, Sama in Telugu, Chama in Malayalam and Little Millet in English. Wash the millet thoroughly to get rid of any dirt and stones. Pressure cook samai by adding 2 cups of water for about for 4 to 5 whistles or till it becomes soft. Once it cooled, mash the samai with the laddle. Add milk, curd, salt and mix it without any lumps. Heat oil in a separate pan and season it with ingredients given under “for seasoning” and once it is done, add it to the samai curd mixture. Mix well and serve with crispy potato fry or pickle. 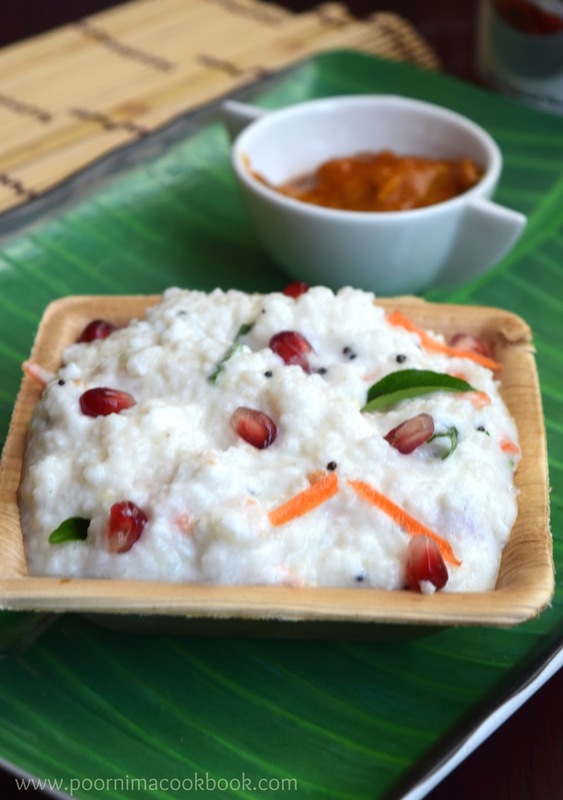 Adjust the quantity of milk and curd according to the taste / consistency you want.